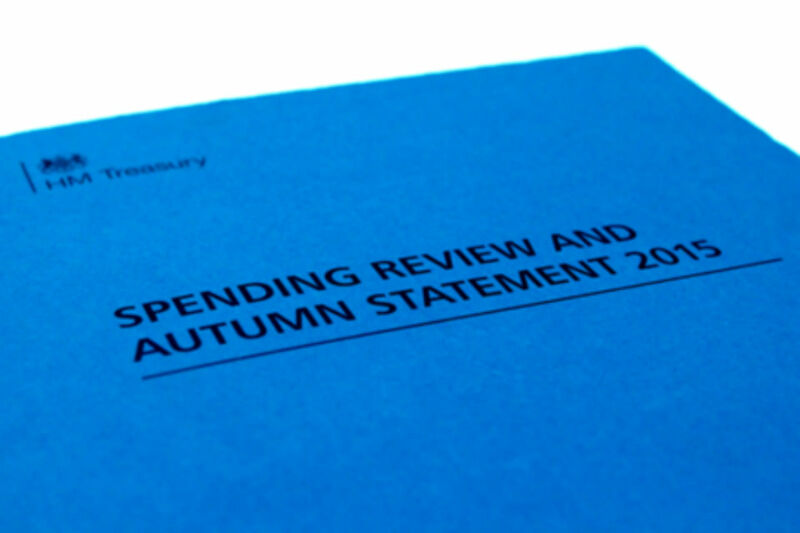 We’d like to thank everyone who has taken the time to read our message on the Spending Review and what it means for the Civil Service. Many of the comments you have posted focus on the review’s implications for Civil Service jobs, pay, terms and conditions. We recognise many of the concerns you have raised and would like to address some of them here, while restating why we believe the Civil Service continues to be a rewarding and exciting place to work. Focusing initially on jobs, the ongoing fiscal challenge inevitably means, as we have said, that the Civil Service will continue to get smaller. But we expect this process to slow down, and - it is worth reiterating - there is no predetermined target for reducing numbers. There is no 'right size' for the Civil Service – it is driven by the needs of the Government, to continue delivering high-quality public services within the budgets that are available. Each department is taking responsibility, through its Single Departmental Plan, for assessing its own priorities and the workforce needed to deliver them. If headcount reductions are necessary, they will be fairly and sensitively managed, and achieved, as far as possible, on a voluntary basis and through natural wastage. The pay settlement supports the need for further savings in this Parliament and the delivery of excellent and affordable public services, while actually protecting jobs. Some comments have compared this settlement with the pay award to MPs. That was determined by the Independent Parliamentary Standards Authority (IPSA) in a completely unrelated process, independent of Parliament or the Government - though it should be noted that, in future, MPs’ earnings will be linked to public sector pay. On terms and conditions, the Government has made it clear it intends to modernise and bring the public sector into line with the private sector. It is important, though, to remember what the Civil Service continues to offer employees, which often sets us apart from other industries, and where it is a leader in best practice. We have a lot to be proud of. While we have some distance to travel before we are fully representative of the people we serve, our increasing diversity compares favourably with much of the private sector. And our family-friendly policies, including the opportunities to work flexibly or use flexi-time to achieve a work-life balance or meet caring commitments, are a valued part of working here. For example, the maternity leave entitlement far exceeds the statutory minimum. HMRC, to take just one department, has introduced other family-friendly practices. They have developed and implemented adoption, surrogacy and foster-care policies, and around 34% of its people work part-time, while many more have informal flexible working arrangements. We know that staff really value this kind of flexibility and many have told us that they would not have been able to continue with their careers without it. In 2015 the Civil Service took a bold decision and decided to offer enhanced pay for Shared Parental Leave (SPL) to both parents – a tremendous step forward for gender equality. It gives parents real flexibility in how they care for their child in their first year, and helps the Civil Service to retain qualified and talented employees. Introducing SPL in this way sends a strong signal about the culture we want to set for working parents in the Civil Service, making childcare a parental issue rather than a purely maternal one. As an employer, the Civil Service also leads the way in offering its employees the opportunity to volunteer. All civil servants now get a minimum three days a year special leave for volunteering – guaranteed. Volunteering is one of the best ways you can gain experience and build your skills while helping others in your community. Furthermore, it’s proven that people who volunteer also have significantly higher levels of life satisfaction than those who don’t. Flexible working, flexitime, generous annual leave, opportunities for part-time working, job sharing and volunteering are all positive commitments that help us manage our working hours, our work-life balance, our own wellbeing and care for those who depend on us. We also look to support everyone to be the best they can by giving five days in targeted learning and development activities to all civil servants every year. We believe it is this unique combination of terms and conditions, a diverse range of colleagues, an inclusive working culture and varied, important and stimulating work that makes the Civil Service an employer of choice. Responding to the challenge of the Spending Review, and building on what we’ve achieved during the last five years, we are determined that the Civil Service must remain an attractive employer for those who want to serve the public and the Government they have elected. Firstly – Congratulations to you both for at least putting your head over the top of the trench, and attempting to address some of the concerns raised in the Spending Review blog. Linking MP’s pay to public sector “in the future” does not alter the fact that they received a pay rise of more than 10%, while civil servants- if we were lucky- received 1%, and will continue to do so for the next 4 years..
Diversity doesn’t put bread on the table to feed my family. There has been no proof presented to us that pay restraint has saved one civil service job. Requests for Part time working can be refused, and frequently are, on grounds of business needs, (especially with the ongoing reduction in staff numbers.) Flexi time is of little use, if like me due to business demands, you need to be in the office from 8:30 until 5:00. Also - as I’ve got 3 children already I can’t afford any more, however attractive a weeks (paternity) leave sounds . I don’t find E-learning- for that is what the majority of training is nowadays- Very effective or rewarding. Sorry to sound downbeat in this era of positive spin on everything, but I hope you have taken the time to read some of the 200 responses to the previous blog. If you have you will be well aware staff are sick to the back teeth of pay restraint, and changes imposed to longstanding terms and conditions. Is it not slightly irresponsible - not to mention setting a rather worrying precedent - to suggest that certain terms and conditions of service, such as flexible working, adequate maternity and paternity leave, and a reasonable annual leave offer, are an adequate substitution for fair wages? I'm grateful to the civil service for providing me with a good work/ life balance, as well as giving me the opportunity to serve the public. Unfortunately, however, public service and flexitime don't pay the rent. Let’s face it. Despite oft repeated denials, we ARE being put into a race to the bottom, and no-one seems to know how to (or cares to) stop it. The consequences will be political, economic and social instability (contributing to an unvirtuous cycle of further ring fencing for public services associated with maintaining law and order, security, consequences of social depression etc.). Beyond the specific purpose of each government department, the civil service has historically been an employer of dignified (most of the time) work. This is hinted at in your reminders about the perks of working here. It is also constrained to exemplary and ethical behaviour in a way (as we can see from the links above) the ‘private sector’ is not necessarily (though let’s be clear, there ARE good private sector employers – I spent 20 years working for one before becoming a civil servant at 50+). Just as the then government did not hesitate (without a thought for austerity) to commence quantitative easing in order to stave off collapse in the banking system, we as a society should be concerned not to be throwing people, families, communities to the wolves in the name of austerity, where it might contribute to a collapse of the social system. I think you know this, and you should search your consciences (heaven help us if you don’t have one) and ask if you happy about what you, as the most senior civil servants, are sending out as messages to us and whether you are doing all you can to speak truth unto power as any good servant should do. We all understand the pressures of globalisation, but we expect our leaders to be more creative in finding solutions, instead of slavishly capitulating to them. And we expect more fairness. Flexible working (increasingly becoming the norm in the private sector in recognition of the co-benfits to employee and employer) and generous maternity leave are fair points the civil service can be proud of. A diverse workforce is worth celebrating -but it is up to the private sector to catch up -so hardly relevant. Overworked civil servants find it very hard to take the 5 days a year for training (from near-zero training budgets) nor a further 3 for volunteering -nor even the now-diminished "generous" holiday allowance. What really counts however is pay -how can any organisation recruit and retain the best people (or even mediocre people) for the job with the pay offfer currently on the table. I genuinely love my job, but I'm trying my hardest to leave the civil service. You win. Sir Jeremty, thank you for taking the time to respond (albeit rather generally) to the numerous comments on the previous blog. This response does highlight a number of the more positive aspects of civil service employment at the moment. However these are largely "commitments" and in a number of cases can be removed or turned down by local management or as budget allows. The response skirts around the main thrust of the argument that seems to run through the 199 (at the moment) comments on the previous blog entry. This is that while we are being asked to do more with less, the *key* rewards that have kept us here, working hard, delivering Government policy are being significantly downgraded with no prospect of this erosion slowing down. We are constantly told that WE must pay the price of the budget deficit. We are told that the nation can no longer afford our pensions when the original pension scheme ran at a profit before it was tinkered with. We are told that pay rises can only be 1% for the next 4 years - which we now see is lower that outside industry and takes no account of many years of pay restraint before that. (I am lucky that as a G7 I am relatively well paid compared to colleagues. However my take home pay, which is after all what counts, is now still the same as it was 5 years ago - during which time inflation was not hovering around 0%). I hesitate to think how much I will have lost in real terms at the end of this pay period. We work under an arbitrary PMR system based on relative performance within large teams - which has been largely proved ineffective in private industry and found to be so divisive. I chose to come into the CS many years ago - a definite choice that took account of the fact that my peers were getting better pay, perks, working environments in the private sector but the balance was the stability that was assured, the pension, the support. Most of that has now gone and I do feel as though the CS is viewed as something to be endured and removed as much as possible. I feel sad that I would advise my children .not to make the same choice as I did - yes work in the CS if you feel like it but treat it as any other job. Why don't I leave you may ask. I am caught - not enough years to make the recent VES round feasible (and that is being downgraded as well now) and too old to be changing career with mortgage to pay, chidren in school and aiming at University and locally an economy that offers very little within my skillset. What would make all of this a tiny bit more bearable would be if this were reflected in any of these blogs. I am afraid that they do read as though Ministers were writing them. I see no evidence that the real experiences reflected in comments by my colleagues (also your colleagues) up and down the country are taken account of. I get no sense that the comments will be passed upwards or addressed in any way. This is the first time that I have commented on a blog entry - do I expect anything to change? No. Do I feel any better at getting it all off my chest? A tiny bit so thanks for that opportunity at least and apologies for the length! I am totally unconvinced. Despite all of your wonderful claims, the fact remains that my salary had not changed noticeably since 2007. The only foreign holiday I could afford to take my children on since they were born (now 11 and 7) was only as a result of a small inheritance when my mother passed away. You have taken away leave entitlement, you have enabled me to work from home - using my electricity and heating, freeing up desk space on London (where there have long been only 6 desks for every 10 staff): so more benefit to you, rather then me? No. Enough now. I need, no: my family needs. A decent pay rise and no more erosion of my conditions, thank you. Have you noticed how every single "benefit" of working for the Civil Service that they list, is specifically about "not being at work"? Flexitime, annual leave, volunteering, parental leave, part-time working.....all very nice, but all ways of "not being HERE". I look forward to the follow-up post that lists the benefits of being a Civil Servant in the time that you are AT work. - MP pay. It is totally irrelevant that the process that arrived at the rise for MPs was independent, the fact is that at a time when our pay is being held down, we are still expected to turn Government policies into reality, with lower budgets and less staff, and a reducing disposable income through other changes such as increasing pension contributions etc. It would certainly have been more credible for the Government to say "we're all in it together" is they put their money quite literally where there mouth was! - Volunteering. Whilst I understand the potential development benefit and certain community benefit associated with volunteering, I'm not sure that this is something that the country should be paying for through a guaranteed 3 days per civil servant. What does that cost the nation? It also makes service delivery that much more difficult to manage effectively. - "Generous" annual leave. It appears from Wiki that JH has been in the service since 1992, whilst JM much more recently. Their memories will therefore not go back far enough to rcognise that for a numbr of years, annual leave increases were used as a sop for civil servants awarded measly pay increases, or no increases at all. The result of this is now apparently going to be used against us. Great bit of fiction!! Well done. When our T&C's are finally where you want them, in the gutter, what will you do then to fill your time? Quote... "The pay settlement supports the need for further savings in this Parliament and the delivery of excellent and affordable public services, while actually protecting jobs. Some comments have compared this settlement with the pay award to MPs. That was determined by the Independent Parliamentary Standards Authority (IPSA) in a completely unrelated process, independent of Parliament or the Government - though it should be noted that, in future, MPs’ earnings will be linked to public sector pay." Question... "Given the need for savings in 'this parliament', do you think it is appropriate that MP's (being actual members of parliament) should be so callous by accepting a 10% pay-rise, given the fact that every penny counts in these austere times?" Question.... "Can the IPSA review our current pay agreement and be responsible for the amount we are awarded based on our performance, and compared to a comparative outside company (The closest match to HMRC being PWC)? * Please do not use the fact that they are an independent body. If they have been in anyway funded by taxpayer money, they ceased to be an independent body the second they agreed to undertake the role at the cost of the taxpayer. At that point they became civil servants. Question... "Does anyone here think that someone working for PwC would accept our current pay 'deal', or do you think they would negotiate with the employer?" For the purposes of this question please consider that in order for the word 'deal' to be used, some negotiation and agreement would have had to have been reached. I genuinely cannot think of a word to replace 'deal' with, that fits our particular circumstance at this time. Further follow-up question "Do you think its convenient that now MP's have had a 10% consolidated pay-rise (Which is well above inflation), that they can "now" afford to be linked with future the public sector pay 'deals'? All those things you mention, benefits the Civil Service as much as the employee. Overtime payments can be avoided and deadlines can still be met with vastly reduced staff numbers. All the things you mention, have also been a part and parcel of working for the Civil Service for the past many decades, they are not new 'benefits', and as someone else has mentioned, increased annual leave especially has been used as a 'sweetener' in previous years to mitigate very low pay increases. The Civil Service has been under attack for the past five years, with another five years to go. Ultimately, it is the level of pay which will determine who you attract and who you keep. I do not know a single person who is happy working in the CS anymore, and the fact that many of us are still here is purely down to the fact that either people are unable to find alternative work at the moment, or are counting down the days to retirement. Either way, your picture of a highly motivated Civil Service which is eager for change, falls widely short of the reality at ground level. I fully agree with the comments so well put above. As someone who has been a civil servant for 28 years I feel thoroughly demoralised and demotivated. I also feel extremely angered, because the very reasons why I joined at the tender age of 23 - good pension, earlier retirement etc - these are the very things it seems are being taken from me. It's too late now to change my mind and choose another career. How can it be morally, or even legally, right for an employer to sign you up for the long haul, with promises that it then decides to break? It's hard to take the CS commitment to inclusion seriously when the pay policy fundamentally undermines the very idea of fairness and respect. How can you possibly justify paying one person thousands of pounds less than the person next to them doing the same job indefinitely. You really expect the people frozen near the bottom of the pay scales, through no fault of their own, to accept the idea that the British Government simply can't afford to treat everyone fairly and inclusively? It's akin to bullying and discrimination. When you're among those the Department you work for doesn't value, everything from the appraisal system to recognision, reward and commitments to inclusion are seriously undermined. I dread the salt in the open wound that is to come, as a disabled member of staff I cannot sign my life over to work and commit to 12 hour days 6 days a week so will I now be frog leaped by those at the bottom of the pay 'scales'? As a consistent exceeded performer, I don't half feel disrespected and undervalued. What does the CS gain from such insidious treatment? I look forward to the discrimination argument being taken up by one of the unions. It simply cannot be legal for some people to face an indefinite period of time being paid thousands of pounds less than the person sitting next to them to do the same job. Thank you for a response. I think most of the posters above have hit the nail on the head its about what we take home what pays for a roof over our head puts food on the table for us and our children. It’s not always about the flexi time or leave. You could argue that advancing our grades would help, but I am now loathed to do this, as I have to sign a new contract that gives me less leave. More restrictive flexi working hours, worse protection if I ever dare to be ill.
We have an almost universally hated PMR system that has been proved to be ineffective in outside industry, we have each department with their own pay structure. So if you really what us to behave like private sector treat us like private sector. Make sure the rewards for our hard work are correct and fair across all the civil service. For my personal situation, I work on a large site with several government departments, I am a manager of staff, yet I still have to claim tax credits to top my earnings up. There is other managers in the area earning £1000’s more than me year and not achieving what I do with my team. There is also people of the same grade in other departments on site earning far less and in some cases more than I am. Where is the fairness in that? Talk about stable doors and bolting horses - "though it should be noted that, in future, MPs’ earnings will be linked to public sector pay" - all well and good when you have just been awarded a 10% rise. The issue is the inequality here and now - not what MP's may or may not receive in the future surely??? The main Civil Service work force across all Depts are so far at the bottom of the pecking order its nigh on impossible to be positive any longer. HMRC had an independent review of wages and chose to ignore it. One rule for them another for us. Additionally you are only able to volunteer if it matches the business, therefore it is not volunteering it is supplying a service related to the business. Another year another real term pay cut that is the reality no matter how you flannel it up. Whilst you say that we should reflect private industry, the reality is you want a minimum wage workforce with none of the benefits that many private companies offer. First ever time commenting but have to say Yorkie has summed it up perfectly. Yet again rather than using our T&Cs to encourage private industry to improve we will be involved in a race to the bottom...just like with our pensions. Appreciate the response to the previous comments but it is not reassuring at all. If we're being brought into line with the private sector this still doesn't answer why it's only where conditions are worse that changes are being introduced. I think everyone understood during the financial crisis that sacrifices would have to be made. We didn't like it but we understood. Now Britain apparently deserves a pay rise but only if you're in the private sector or an MP (award a massive pay rise then tie yourself to public servants and pretend you're in the same boat). We're not being brought into line when it comes to the main reason we all work, pay. Senior civil servants should be fighting for their staff. Over a period of time the senior civil service has been increasingly political, this isn't healthy. We implement government policy, we are not here to be their cheerleaders. MPs pay as recommended by an independent pay body accepted by the government, nurses pay as recommended by an independent pay body rejected and overturned by the very same government as unaffordable. This tells you exactly the mind set of our employer - don't do as I do, do as I say (or better know as modernisation of pay and conditions). Surely you're not thinking there are double standards at play? Perish the thought! I appreciate the approach that the CS takes to flexible working and diversity. However, in an environment where Ministers continually want to do more and CS numbers get lower, this inevitably means more work spread out between fewer people. This means many people are unable to work flexibly even if they want to; I myself would love to be able to work flexibly but what flexibility actually means for me is me being flexible by working 8am-7pm most days and taking my work home with me to carry on after that. I don't have children and don't plan to have any, so can't benefit from maternity or parental leave. My job is too busy for me to take volunteering days or five days L&D per year (as a committed individual I will do L&D and training but will get up early to work before the course, will work after the course, and will work at the weekend to make up the lost hours). I therefore cannot benefit from any of the positives you list, a position many other civil servants find themselves in. Before joining the Civil Service I worked as a management consultant in the private sector. I worked the same hours there, had the same stress there, and even less responsibility, however I got paid 50% more money, received bonuses, had regular company-funded events/drinks/meals, private healthcare etc. I joined the Civil Service because I am passionate about making a difference rather than a profit, and am continually the top performer in my directorate according to performance ratings. However, I get no real recognition for this (other than a future promotion, which I am not sure I would take because actually my salary may go down upon moving into the SCS). Talented, committed people like me are leaving the CS on a daily basis for the private sector and the charity sector (which, shockingly, often offers significantly higher salaries than the CS, despite being not for profit). Whilst I appreciate there are constraints on the use of public money and we can't all have lavish private sector salaries, the CS must offer something that the private sector cannot or you will lose your talent. I manage a Fast Streamer who is paid less than EOs in many departments despite being expected to perform as a top HEO and gets a very small bonus for being a top performer, yet isn't allowed access to the departmental performance award bonuses we would like to give him. Across all grades we are not offering people sufficient recognition for their efforts. I am hugely committed to my role and to supporting the work of the Government, however I can no longer afford to live in London with rising costs of living and declining wages. This means, unfortunately, I must leave the Civil Service. I therefore implore you to consider the long term impact the current agenda re pay and T&Cs is having on the long term efficacy and efficiency of the CS, and therefore how well the CS will be able to serve Ministers in future. These are the reasons senior Civil Servants are scoring so poorly on the questions that relate to them in the people survey. Senior civil servants should come out and own the fact that they have implemented such a discrimnatory and unfair pay policy. Explain why they believe it is reasonable for some to be paid thousands of pounds less than the people they work with as peers, why some people are valued, while others aren't. If you genuinely believe in your policy on pay, then explain it to people, if not change it. This is the British Government, not a local corner shop! Most of us are only staying because we've been here so long that we couldn't get another job in the outside world. We're basically trapped. If you think the Civil Service is so wonderful to work for and loved by its staff, then offer decent voluntary redundancy packages to us and just watch the stampede to take them. After 30 years in my department and 10 at managerial level, my annual take home pay is still less than what my chairperson got for their bonus last year. THAT makes me disengaged. Employer of choice? Please, do not make me laugh. Thank you for taking the time to gloss over genuine concerns. You will forgive us for not being reassured. You point to some of the things that the civil service does well, but in the same breath talk about how we're going to be "modernised". How are we to know which of those features of civil service employment that you point to as still attractive will be next to be jettisoned? What guarantee is there that the flexi-time, or shared parental leave will last when we see the redundancy deal being reopened less than five years after it was last "modernised"? You note that they are less common in the private sector while claiming that we must adopt private sector terms and conditions. You use the private sector as a comparator when it suits you but ignore the growing and well evidenced disparity in pay. You didn't need to right a response just copy and paste what you said last year and the year before and the one before that. Maybe not you particularly Mr Heywood but some other sir or madam.What a waste of my time reading this. I am tired of hearing the same positive spin from Senior Civil Servants at the same time the civil servants that they are suposed to be representing are being cut, their Terms and Conditions are being cut and their take home pay has been continually cut for the last 4 years and looking forward to more wage cuts for the next 4 years. Just put lights out when the last civil servant is no more!! Can I be one of the first to say congratulations on your £5000 payrise that was revealed in the papers that the government dumped all at once on the public yesterday. Also highlighted was the rise in wages throughout the upper levels of civil service and government. It is a good job we are all in this together. This blog could have been just one word long. The word: tough. Now is there any chance you might respond to this batch of comments? I have to admit I'm not impressed by the argument that keeping pay rises low means fewer jobs have to be lost. So what? The civil service needs to be affordable, and needs to shrink; there's no virtue in shrinking it less than required. Indeed, it's lazy and cowardly to shrink it simply by freezing people out through bad pay - then you'll also end up with a mediocre and demotivated cadre of civil servants at best (as good people vote with their feet and find better-paid jobs in the private sector), and at worst with a civil service that no longer has the competence to fulfil its function. No: the right thing to do is to pay those people you still need properly (which would now require a big catch-up pay increase) and to reduce headcount strategically by removing the functions you no longer need. There's clearly no current chance of that; like thousands of others I'll be looking to jump ship in the new year. * and has little faith in the SCS and the Government willingness and ability to do anything about it. I have even seen interviews with CEOs and ex CEOs of Civil Service Departments saying as much. * What steps will the SCS and Government take to get Civil Servants re-engaged? * How far behind industry do you think Civil Servants can realistically afford to go before the system breaks? * Will someone come up with a PADR system that actually works rather the bullying and devisive one we have now? 5 years of this and at least 4 more to go - it's too much. I also think that it's clear that you haven't given us any more confidence since your interview saying that "Civil servants are “realistic” about the need for pay restraint". "We recognise many of the concerns you have raised and would like to address some of them here"
Where? I see none of my concerns addressed. Parental Leave - doesn't affect me. Volunteering - not something I'll be doing. Tell me about pay, and what we can expect in 4 years time (by which time we will effectively have taken a 20% pay cut) and how it aligns with the private sector. Just for a start. I am shocked at how I and my fellow professional and talented colleagues can be treated with this obvious lack of respect and regard with such proposals. Worst still, I am deeply saddened by this level of response, which I find incredulous that anyone could deem as good enough. It's shameful. I for one can’t wait to leave the CS and I encourage all graduate friends not to even think about joining – how awful is that!